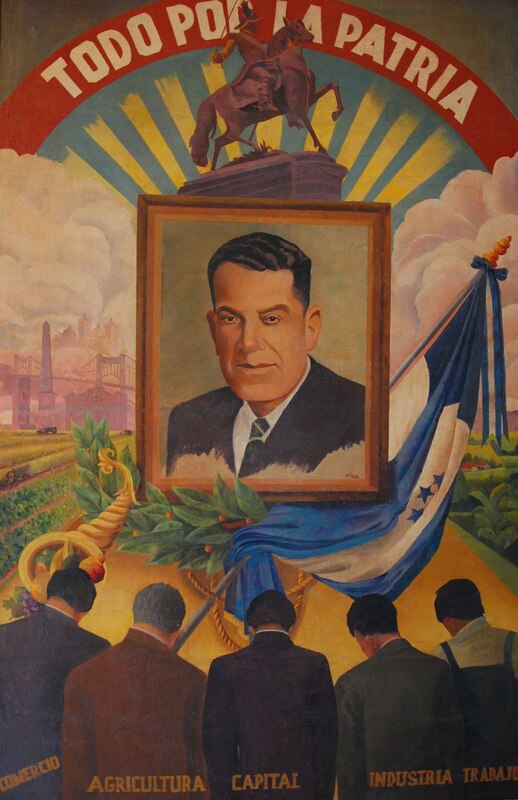 Juan Manuel Gálvez was elected President of Honduras in 1949, ending the dictatorship of Carías. 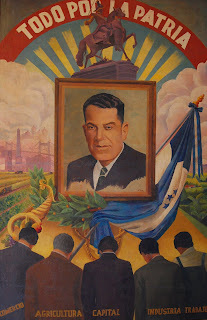 Here is his campaign poster from his (unopposed) election campaign, drawn by Horacio Reina. Bonus points to the artist for including my favorite symbol, a cornucopia! It offers rather specific promises to the economy, a stark contrast to the vague generalities that are the crutch of modern politicians.